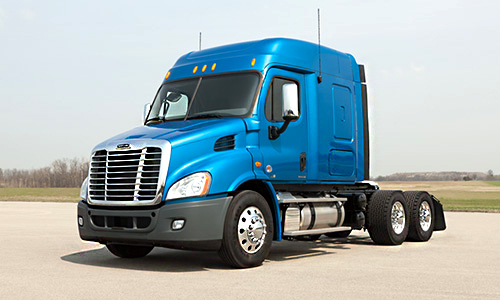 Built to handle the most cumbersome of jobs, from iron rods and steel pipes to lumber and heavy equipment, the Freightliner Cascadia® and Cascadia Evolution® are the first choice for tough flatbed loads. 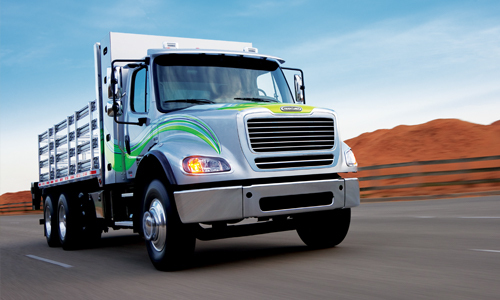 With plenty of storage on the frame rails for chains, tarps and tie-downs to contain, secure and immobilize the most challenging of loads, there is also plenty of driver headroom, and most can stand comfortably in the cab of our Mid-Roof XT model. 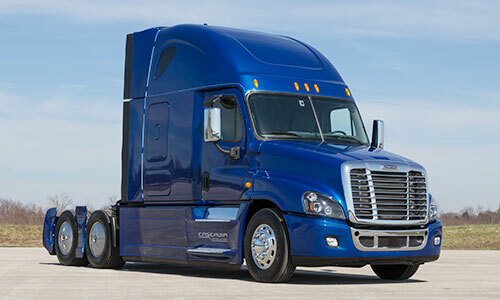 On the road, the advanced aerodynamics and solid, lightweight construction of a Freightliner pays off in maximized payloads and fuel efficiencies. 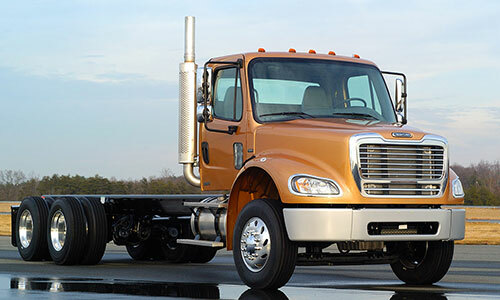 With an up-to 50-degree wheel cut, ample swing space and a ground-to-cab height with plenty of overhead clearance—especially when backing up in crowded distribution centers or tight docking situations—Freightliner delivers superior maneuverability. That’s what we call running smart.